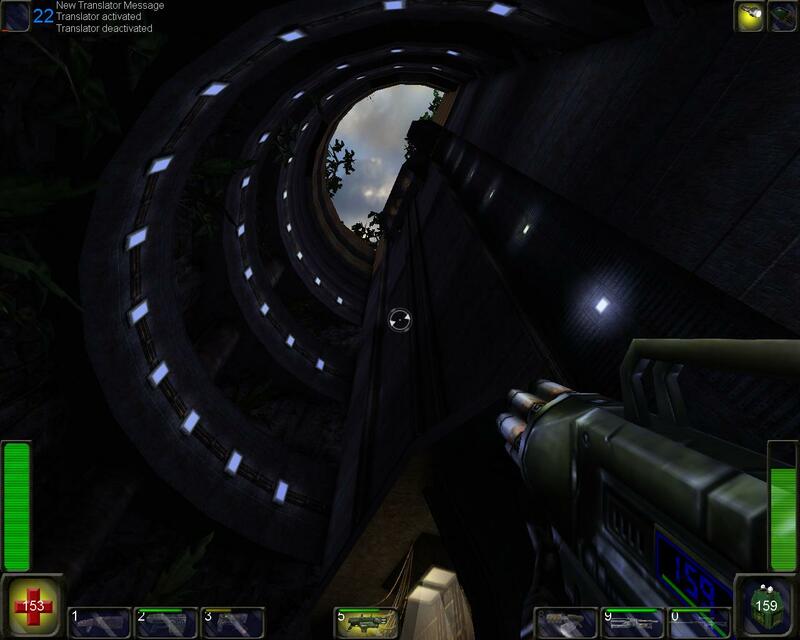 UT might have been my first ever shooter, but mod Operation: Na Pali was my first ever experience of a pure singleplayer linear FPS. ONP was a surprise because I didn’t expect more than a few missions — and then it just kept going and going, unraveling stunning vista after stunning vista across the same glorious spread of mountains, ruins and industrial settings as I would later discover in the original Unreal. There are more than 30 maps, of varying length. I installed Operation: Na Pali during my formative years; I was first playing it about the time Erasure released their cover version of Peter Gabriel’s Solsbury Hill, one of the songs that unleashed my love of music. Somewhere up there is a floating island with my name on it. 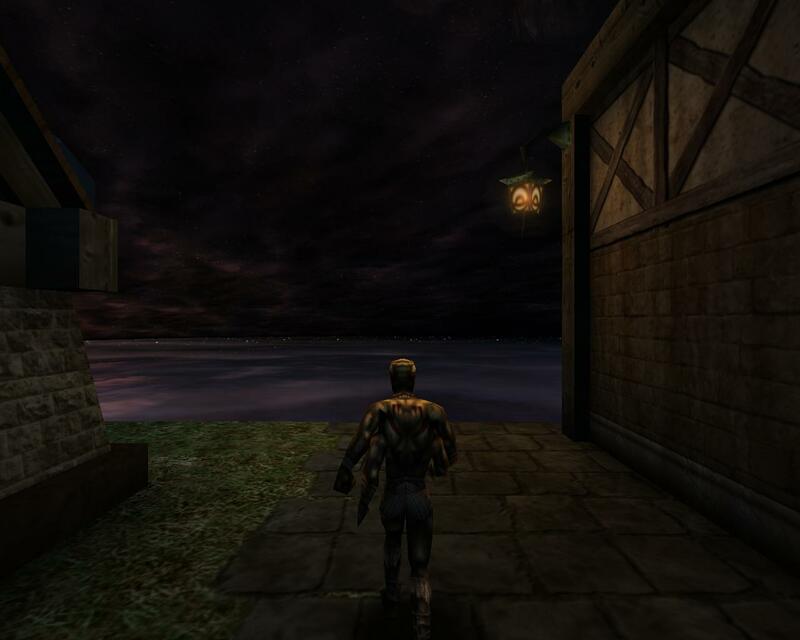 I wanted to include ONP in my Ultimate Unreal Binge because I’d say it’s a truer sequel to Unreal than Unreal II; it’s cut from exactly the same cloth as the original, but (like Return to Na Pali) adds a few further refinements to the mix. It certainly wouldn’t have been out of place as an official mission pack… Well, without the occasional l33tsp34k in the dialogue and messages. ONP isn’t just where I fell in love with Unreal — it’s where I fell in love with singleplayer story-driven FPSes as a whole. So since it’s got such a special place in my heart, it’s only right that I give it some attention. If you want it for yourself, and have UT, drop by the ModDB profile. Lots of ruins are blasted to pieces over the course of the game. The use of dialogue is, to me, the logical conclusion of Return to Na Pali‘s end-of-mission round-ups. That is, the main character just spends the game talking to himself. Well, trapped alone on a frightening alien world a long way from home, a world that has claimed hundreds of lives and lost starships, wouldn’t you talk to yourself? As well as being a great way to set the mood with startled exclamations or perk you up with a few cheap gags, it’s an even better way to keep track of objectives without having to stop and look at an objectives window. The other thing I like about ONP is that, as what is effectively a terrible fanfic, it never strays into being obnoxious or annoying. What little lore it adds is perfectly in-keeping with what Unreal presented before — the way the Nali describe spaceships as metal birds and the Krall guards’ chafing under the rule of the Skaarj is honest extrapolation rather than dubious self-insertion. In-game cinematics are short and to-the-point. It’s not exactly going to win awards for its story, or the quality of the text, mind you. 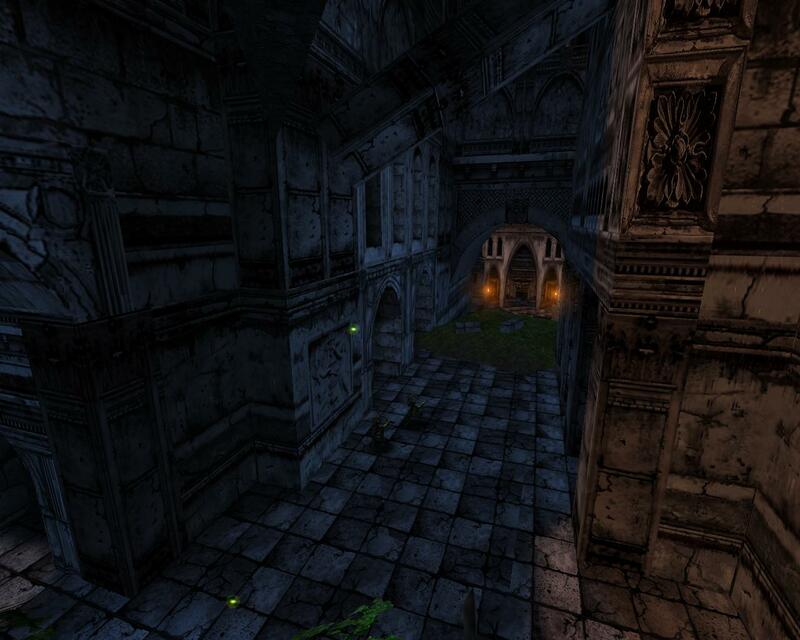 The game shines for the same reasons Unreal does — atmosphere, scenery, a beautiful world. Made by a collective dream team of modders, ONP has as many memorable levels and “moments” as the original game (if not more) — if it wasn’t for the occasionally questionable dialogue, spelling and grammar (a lot of the mappers weren’t native English speakers so I can overlook this), you really wouldn’t know this mod wasn’t made by actual professionals. I sure hope they all got wonderful gaming jobs and lived happily ever after. I’d certainly employ any one of them on the strength of Operation: Na Pali. Another seemingly small, but actually very effective, addition is that of allies. Rather than the Nali being passive helpers, some of them will join you and follow along for the ride. Hell, ONP is the reason why, when playing Unreal itself, I walked up to the first Mercenary I saw and didn’t expect him to tear me a new one. I wasn’t expecting a follower, but I was at least expecting him to be non-hostile. I think having living allies that actually follow you does a lot to dispel the loneliness of Unreal, where everything in the world bar a few Nali wanted to kill you. Nali followers will shoot things for you, but you'll feel terrible if you splash-damage them... Which you invariably do. Operation: Na Pali has its flaws. Indeed, there seems to be a large (and quite vocal) number of people who absolutely hate it. I don’t understand them, and I have no shame in declaring myself a lover of this mod. I think the highest achievement as a mapper (rather than a total converter) is to extend the parent game so seamlessly that nobody can be sure what is original material and what is additional material. I think Team Vortex managed that with Operation: Na Pali. 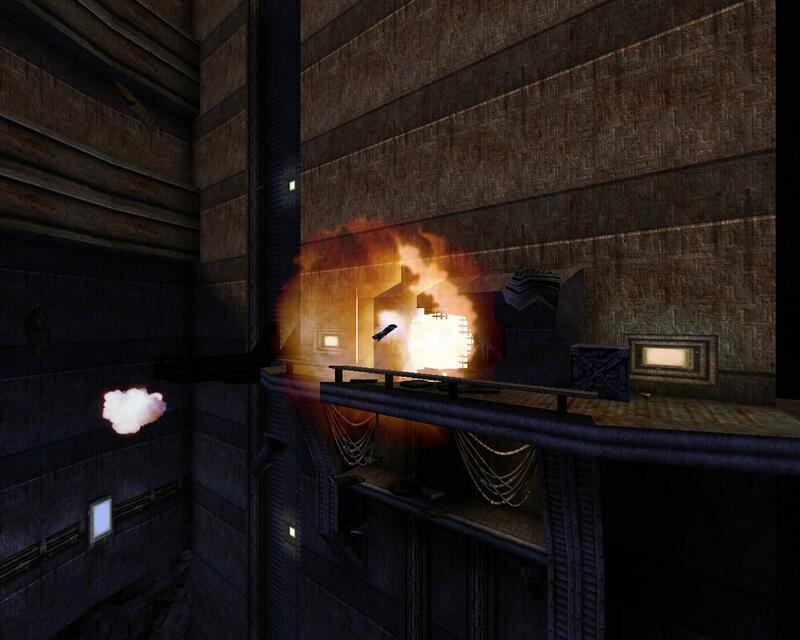 This entry was posted in Gaming and tagged binge, mod, OldSkool, Operation: Na Pali, tournament, unreal by Rao Dao Zao. Bookmark the permalink. Thanks for this article, I loved too Operation Na Pali, and I was very surprised with the duration of this beautiful mod. 36 maps… it’s huge !